Have you ever wondered why you were taught certain ways of doing form and then your body tries to tell you something different? After while, your body begins to tell your limps etc., to do the movements in a slightly different way. but because your teacher did not tell you or did not know about the advanced methods, you stick with what you have been taught at a basic level. The 'Rhythm method' will show you how to perform your form by having total harmony with the rhythm of the form. You mix your own body rhythm with the natural rhythm of the form. Doing form this way, allowing your hands and arms to move in the way that they want to, you will find that Qi activation points during the form will happen by these new movement's action upon the tantien. Qigong is also included in this tape and how to get the most Qi activation out of your Qigong practice. 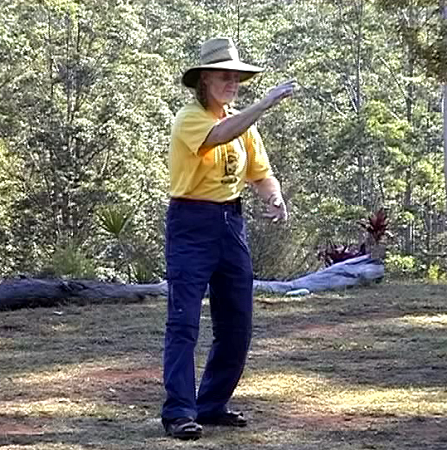 This was filmed at the WTBA's annual workshop, Camp 2002.